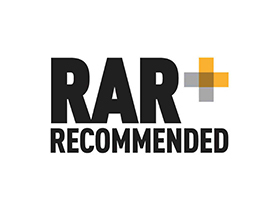 Revitalising the brand to be a dynamic, digitally-driven market leader. Our job is to create leads in an effective and predictable manner - for the Everest sales force to follow up and convert. The centre of this activity is the website - a highly optimised lead - generation system filled with juicy content and organised with slick UX. 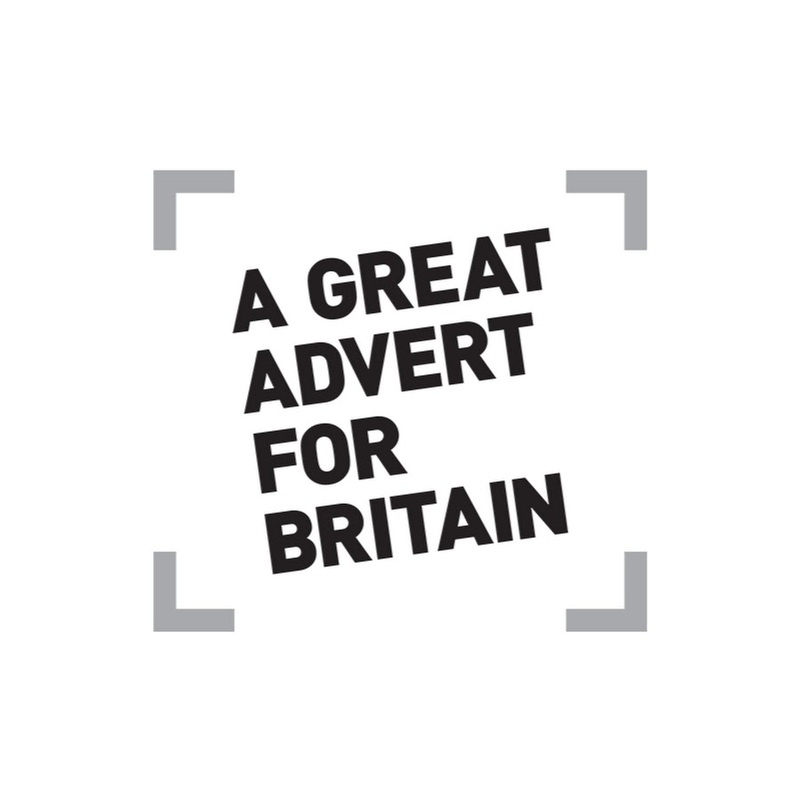 We nurture the brand too, driving traffic to the website predominantly via TV. Our new film introduces Everest’s new SmartLock technology. Everest have partnered with Britain’s most trusted lock supplier, Yale, to give customers the most advanced door yet. SmartLock technology lets you open the door with either a key card, key fob, phone tag or your smartphone via the secure Yale conexis app. You can even send mobile keys to family or friends remotely, which is what Craig does in our latest film. He sends them to his in-laws and enjoys a detour in his helicopter, as he doesn’t have to rush home to let them in! The vast majority of interest in Everest comes via their website, and the UX is designed to offer answers to visitor queries, always giving them somewhere to go. 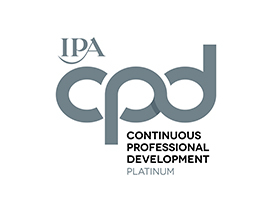 Our most recent developments have been to make the site responsive, catering to the increasing traffic from mobile devices and to maximise site speeds. Conversion is since up by over 43%, while organic traffic levels have been maintained and visibility continues to climb. The website is built on the excellent EPiServer CMS. Find out more about EPiServer CMS and our experience. We won an IMA Best in Class Award for the relaunched Everest website, which underlined the positive impact the website had on sales. 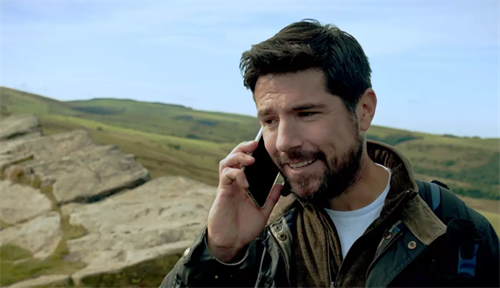 With St Patrick’s Day almost upon us, MBA called on the help of Everest’s brand ambassador and TV presenter, Craig Doyle, to launch their new Price Drop rewind in a fun, engaging way. Take a quick look at our topical mega banner on Everest.co.uk - we’re sure you’ll agree it’ll go down well. Our latest film dropping for Everest is for the new exclusive GrabLock range – and we mean literally. Designed and developed with Yale, GrabLock is a revolution in window locking mechanisms. 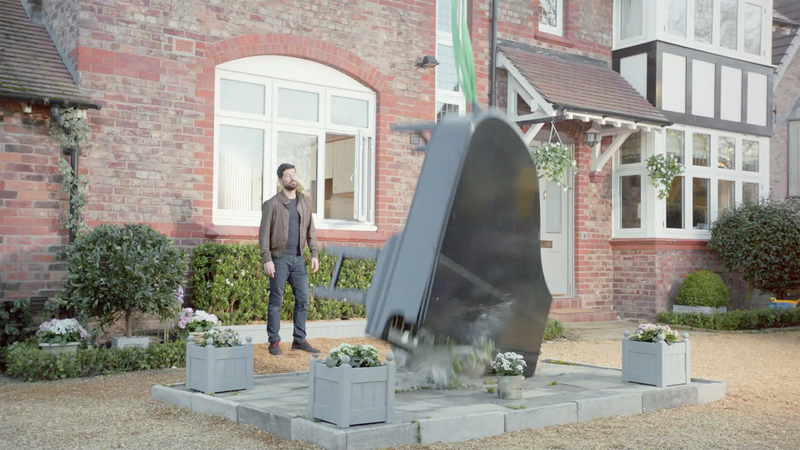 The film - part of our hugely successful Everest ‘torture test’ campaign - demonstrates how Everest’s strongest, most secure lock ever can suspend the weight of a grand piano (until a lapse in communication brings the whole thing crashing down). To communicate Everest’s spring sale MBA decided to plant the idea with a personal touch. 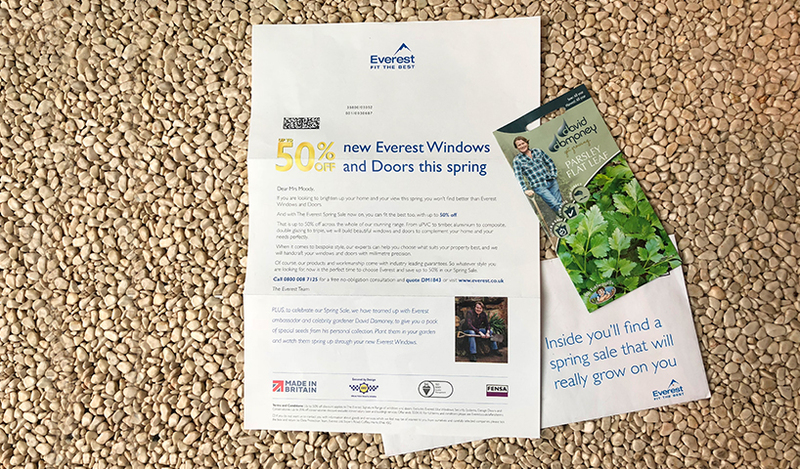 Everest teamed up with celebrity gardener, David Domoney, to give customers a pack of special seeds inside each letter from David’s personal collection. With the idea that customers can plant the seeds and watch them spring up through their new Everest Windows. Ever since Ted Moult famously dropped the feather at the iconic Tan Hill inn, the highest pub in Britain, back in 1985, Everest have been leading the way in draughtproofing. So much so that MBA created collateral to remind the thousands of visitors of Everest’s iconic association. 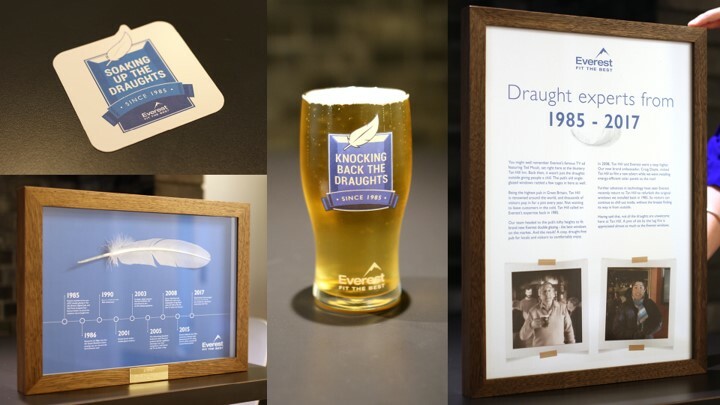 This included a framed feather timeline of Everest’s history, a framed poster, pint glasses, beer mats and a special commemorative ale was also brewed specifically for the initiative. And they certainly have gone down well. Most companies say their windows are strong, but how often do they actually prove it? You might remember Everest’s wrecking ball TV film with Ted Moult in the ‘80s. Well, our latest 2016 films revisit that torture test and proves how Everest windows are stronger now than ever before. For over 50 years, Everest has been fitting the best. To celebrate their amazing heritage, we’ve created a forward thinking campaign by taking them back to their past. As well as taking their prices back to 1991, our new Price Rewind multi-channel promotion uses film, online content, social, print and radio to demonstrate how Everest windows stand the test of time. Amplifying digital and TV communication with traditional press channels. Alongside digital channels and TV, MBA has created several press adverts for Everest to maximize new campaigns and product launch diffusion. 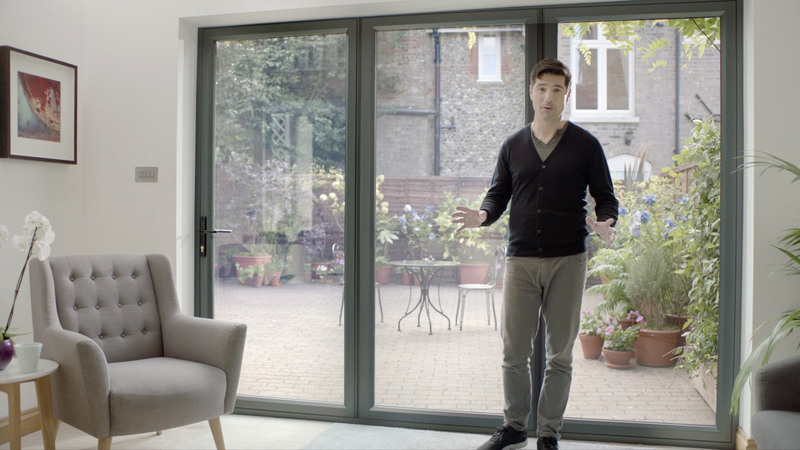 Examples of these are the long copy executions as part of the “Price Rewind” campaign and the “Savings Unlocked” offer released in a Telegraph supplement to present the new cutting edge technology of SmartLock. People assume that all windows are just the same lumps of plastic and glass. But Everest’s products are demonstrably superior on numerous dimensions such as heat retention and security. Our film provides the evidence for people to believe that Everest will be fitting the best. But many people don't realise what makes a good window a good window or a good door a good door. Our content series shows them the benefits of the Everest products. We’re using PR to get into places where we can nudge people into market and particularly to choose Everest – complementary to other channels we talk about what makes the Everest products superior. 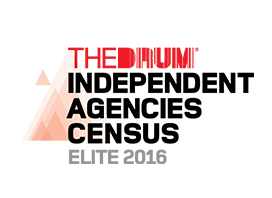 We secure targeted coverage across many aspects of the business, including corporate profile raising and consumer lifestyle PR. At Everest, we're rewriting the rule book for our sector and the pace of change is phenomenal. MBA "get it". They're a talented bunch, challenging yet supportive, highly creative yet entirely commercial and in my experience that's a rare combination.